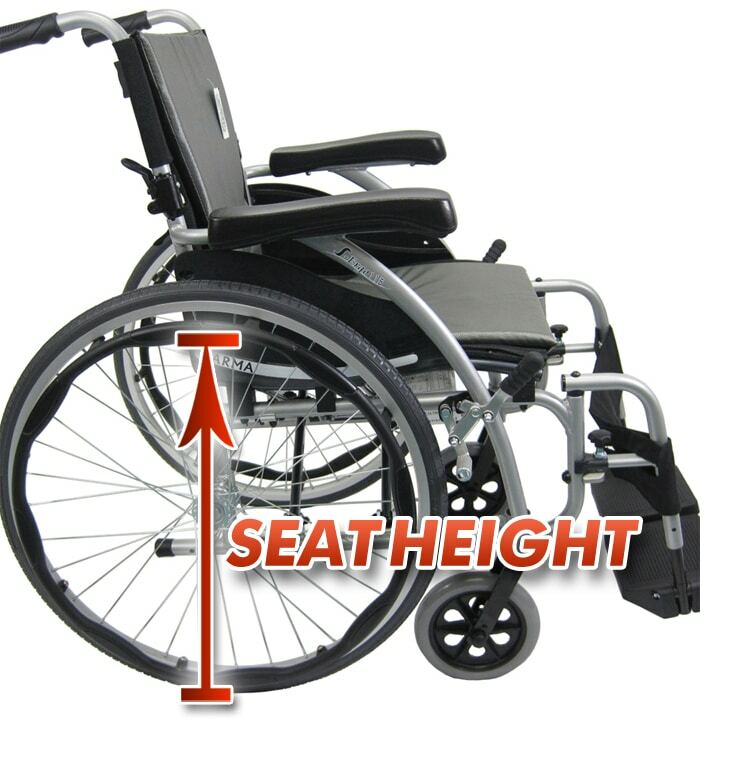 There is an average height for manual wheelchairs that is the most common used seat height available. 19 inches is the average wheelchair height currently, this means that most wheelchair users have spoken and the industry has taken their opinion into account when designing manual chairs. This would include our wheelchairs as well; our average seat height for manual chairs is 19 inches, just like the industry standard. We carry other chairs that have a lower or higher standard seat height, and we also provide chairs that have a frame that is height adjustable, such as the S-ERGO 305.